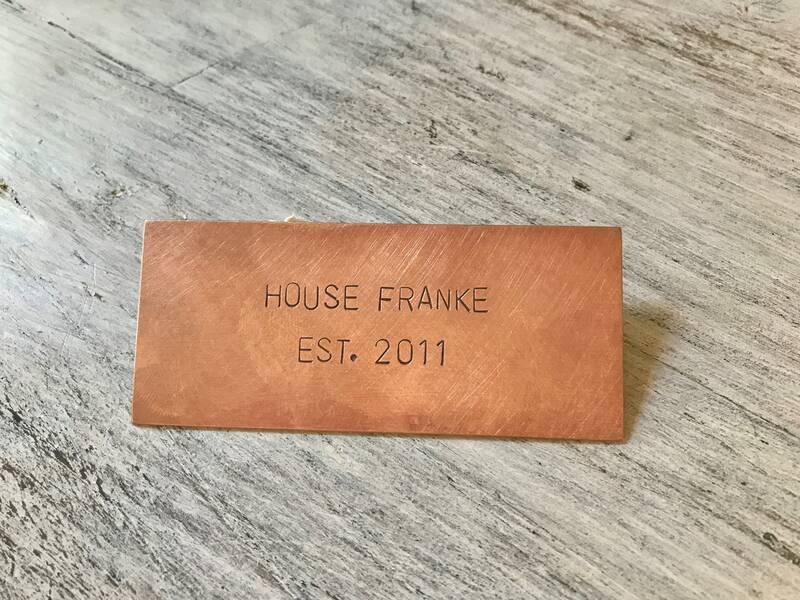 A hand-stamped nameplate in aged copper with your choice of text for a mailbox, trophy, door, baby crib or keepsake. 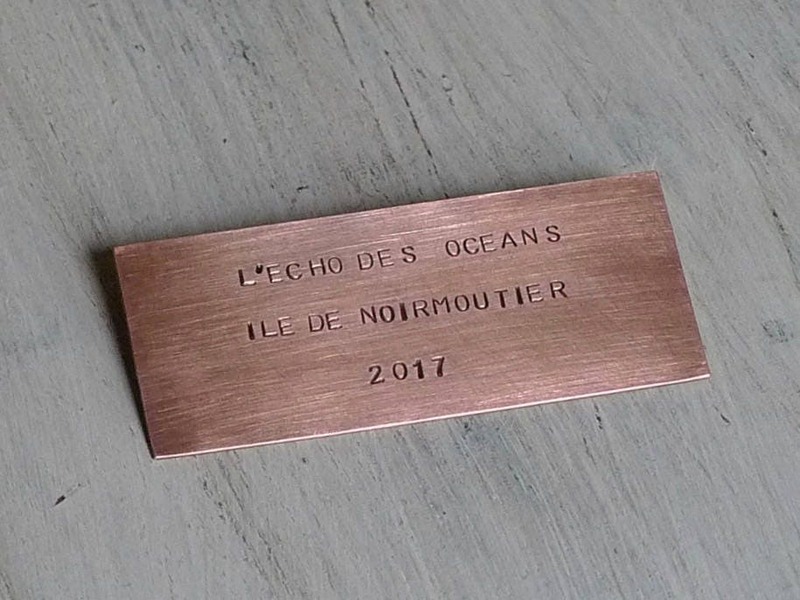 Made in France, ships with tracking. 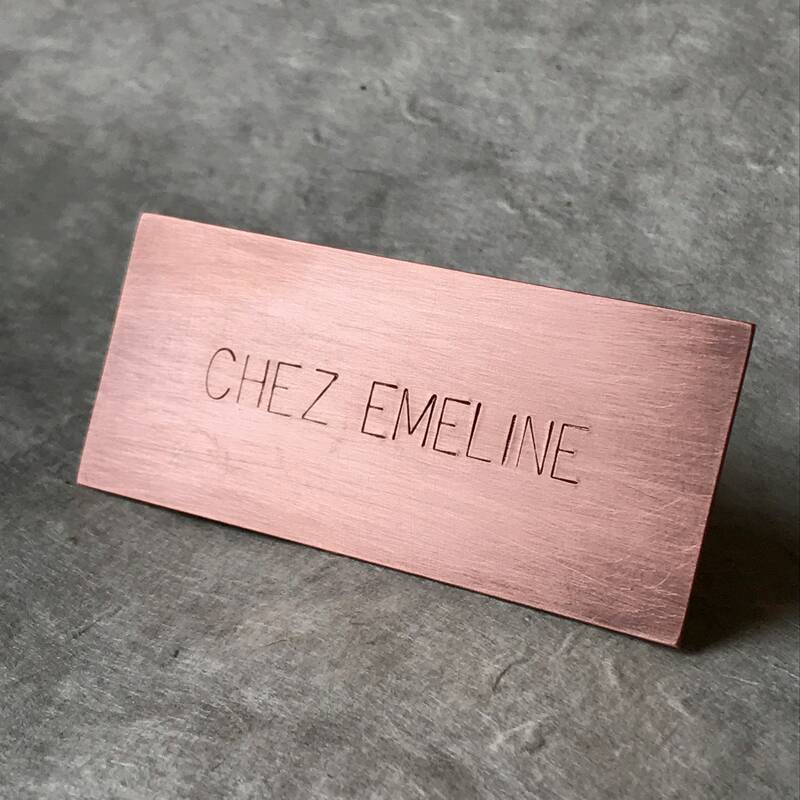 Made by hand-stamping each letter using a metal punch & hammer, expect mild variations in alignment and spacing which is considered part of the charm! 👉 FONT: The last photo shows the 6mm font, this is only possible for 1 line of text. For 2 lines of text you can request 6mm on 1st line and 3 or 4mm for the 2nd line or all in same font. Please be sure to indicate your font size preference when including your text. NOTE: Seller reserves right to override your font size request if needed to fit your text on the plate. 👉 Please contact the seller prior to purchase if you wish to discuss font size & layout of text. 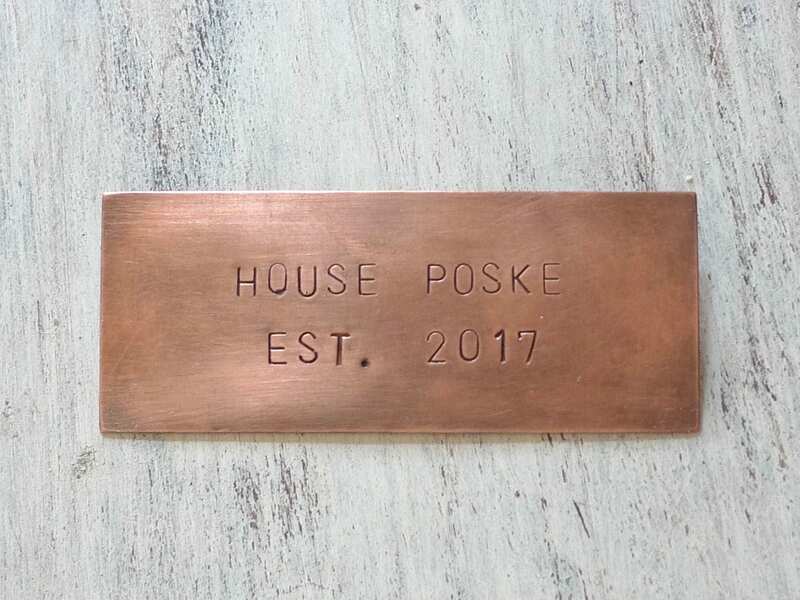 It's really nice - I can't use it for the outside of my house because the letters are a bit difficult to read against the copper background, but I'll use it as a decorative item inside.